Every once in a while a project comes along that strikes such a chord, you cannot possibly imagine not working on it. Modern Women was one of those projects. Not even a temperamental volcano could keep us apart – stranded in London during the design phase of the project, KMIP’s Agnieszka Gasparska kept it going via Skype and email from a friend’s canal boat. 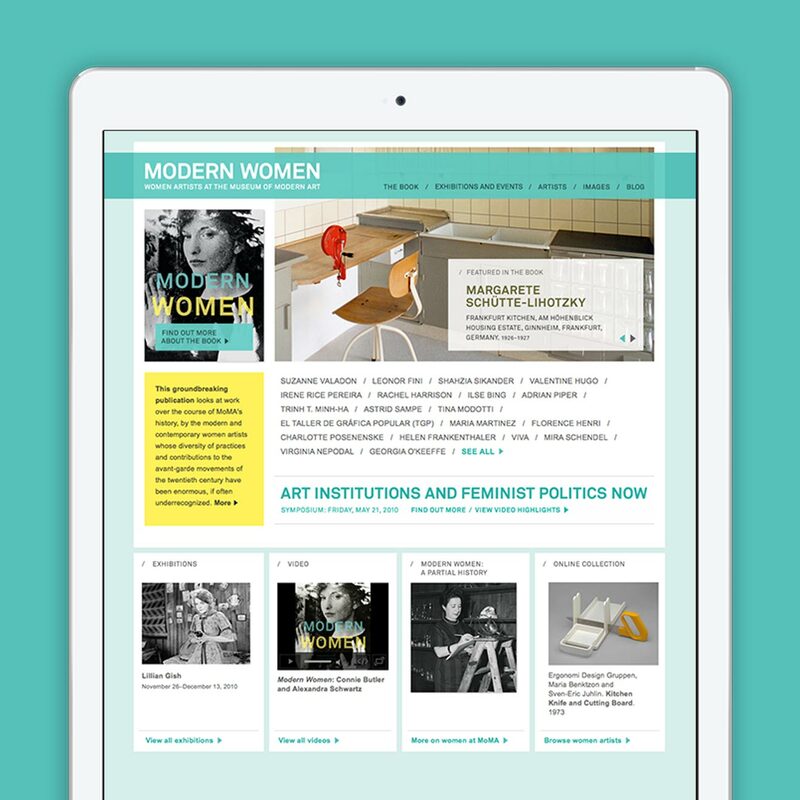 😉 We are honored to have had the opportunity to design the website for this groundbreaking book that looks at the diverse practices and contributions of women artists throughout the course of the MoMA’s history. From the MoMA’s founding by three pioneering women in 1929 to the diverse practices and contributions of modern and contemporary women artists, the history of women at MoMA is inextricable from the history of the institution. The website celebrates all of that history while also highlighting related events and exhibitions, starting with the symposium that marked the launch of the book and the website -Art Institutions and Feminist Politics Now.